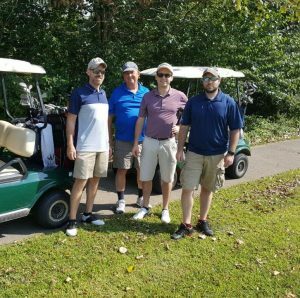 Perfection’s Third Annual Golf Outing was held on Saturday, September 16th at Lindale Golf Course. 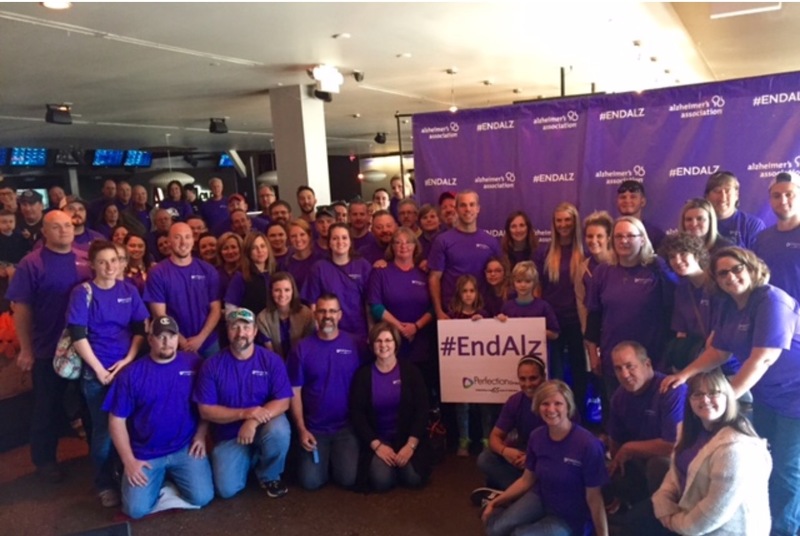 It was a beautiful day in Cincinnati and fun was had by all. 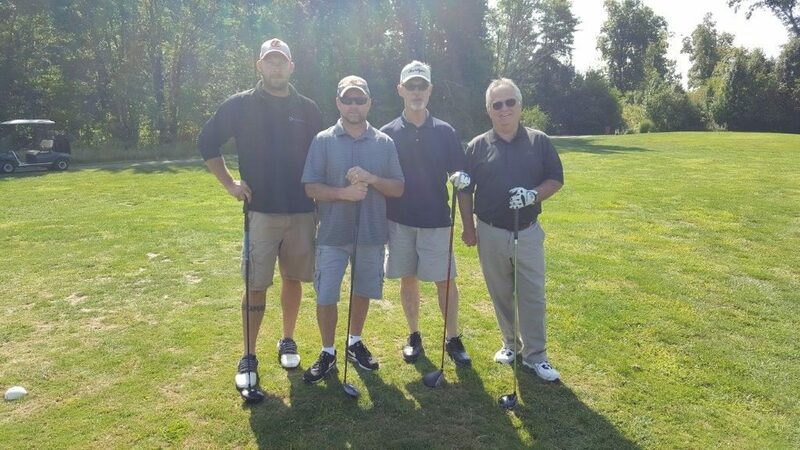 The Winning Foursome was Mike Wellman, Dave Engel, Todd Maroney and Ray Wietmarschen. Congratulations to these Mechanical technicians! 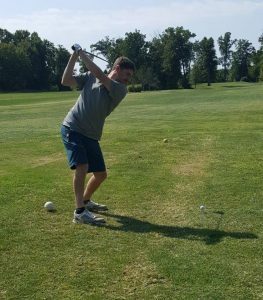 The Longest Putt award went to Jake Sellers. 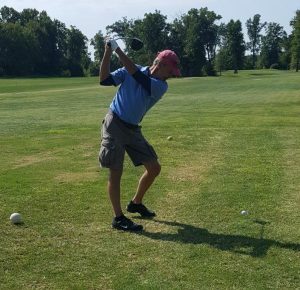 Chris Wellman won the Longest Drive and Butch Dobson was Closest to the Pin. Way to go guys! 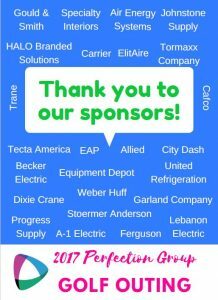 We would like to thank all of our sponsors (listed below) for their generous support which made this day special! 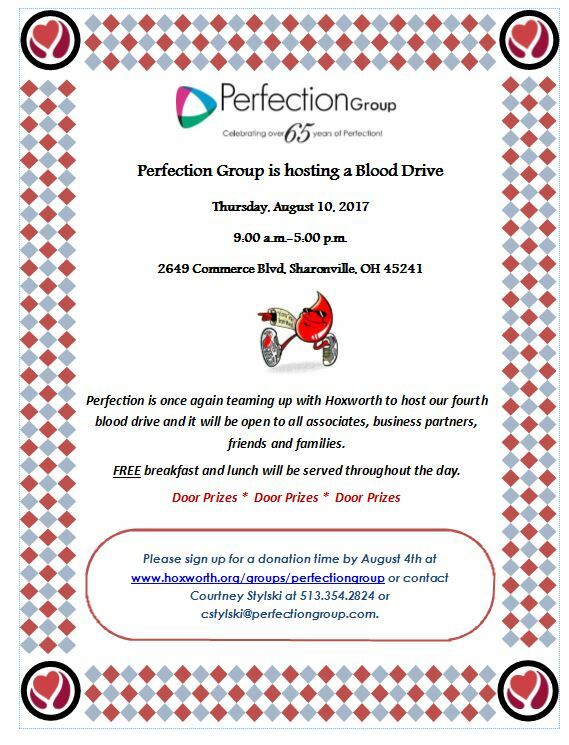 Perfection is once again partnering with UC’s Hoxworth Center to host a blood drive at our headquarters in Sharonville, Ohio. All are welcome to join us on August 10, 2017 for free lunch and entries into our door prize drawing. 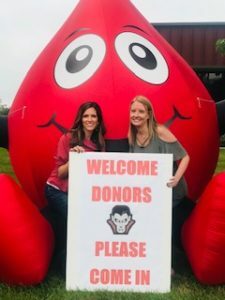 Click on the following link to sign up to donate blood and help us reach our goal of collecting 66 pints of blood! 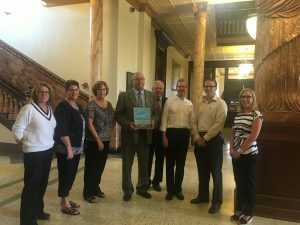 Auglaize County Courthouse Earns the Energy Star Award! Perfection Group, Inc. presented an Energy Star award to the Auglaize County Commissioners for the Auglaize County Courthouse renovation project in Wapakoneta, Ohio. Perfection completed an energy savings project at the end of 2012, replacing the old HVAC and controls systems as a part of the overall Courthouse renovation. 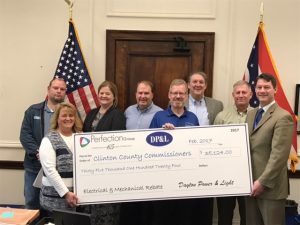 Perfection helped secure a $1.3 million grant from the State of Ohio for energy efficiency. 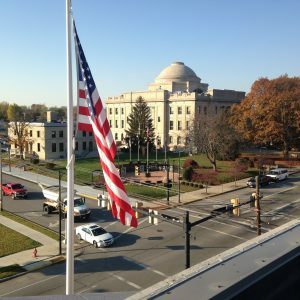 After several years of operation, Perfection and Auglaize County achieved an Energy Star score of 79, meaning this building is more efficient than 79% of similar courthouses of this age and region. This is a testament to the county’s commitment to saving money. Present to receive the Energy Star plaque were John Albrecht and Brittany Gehringer from Perfection Group. 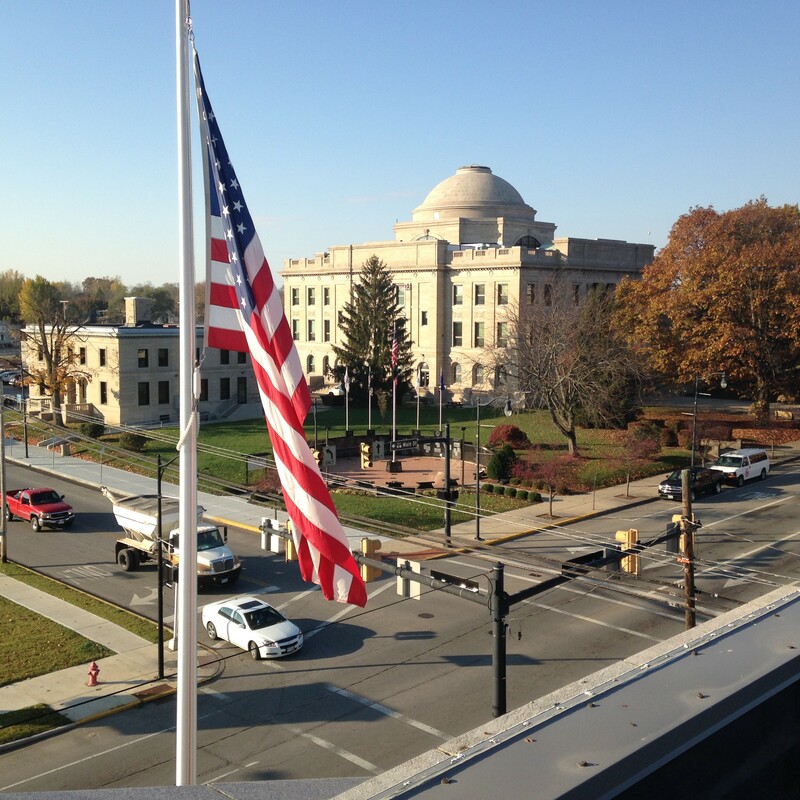 From Auglaize County: Erica Preston (County Administer), Commissioners: Doug Spencer, Don Regula, and John Bergman, as well as other Auglaize County associates that work in the Courthouse. We met with the County Commissioners and key county officials yesterday upon near completion of our $5.2 M plus Green project in Wilmington, OH. It is always nice giving something back to our customers and in this case it was a rebate check that was MORE than our guaranteed savings promise! First Row – Brenda Woods, Count Commissioner, John Albrecht, Perfection, Kerry Steed, President County Commissioners. 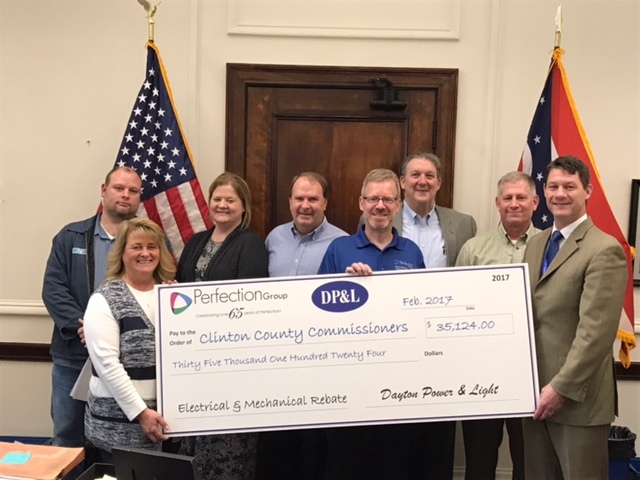 Back Row – Jeff Williams, County Engineer, Mary Ann Foland, County Administrator, Perfection’s Dave Blevins, Tony Apro, and Bill Lippert. 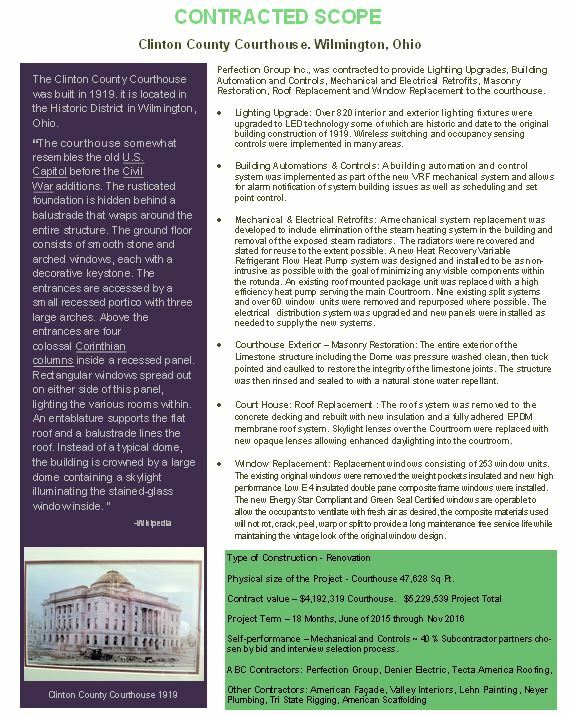 Perfection was contracted to provide Lighting Upgrades, Building Automation and Controls, Mechanical and Electrical Retrofits, Masonry Restoration, Roof and Window Replacement of the courthouse. See attachment below for the full scope of the project. If you’re ever in the area feast your eyes on one of the most beautiful county courthouses in the country. One beautiful structure built in the early 1900’s. National Historic Register building that will soon be Energy Star rated. 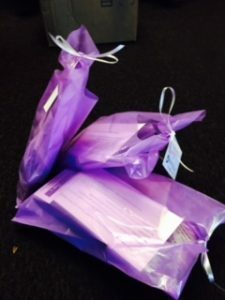 One thing we pride ourselves on at Perfection is giving back to the community. 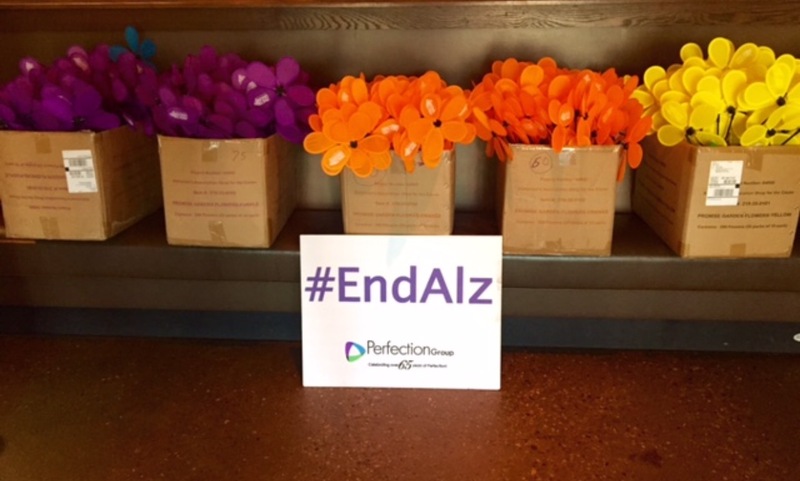 This year we chose to support the Alzheimer’s Association. 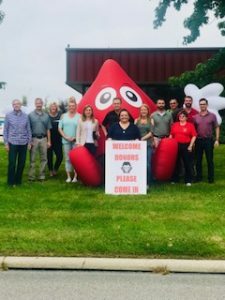 We started in June of 2016 by hosting a company-wide blood drive. 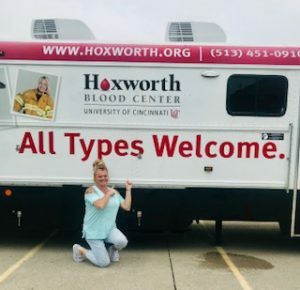 We invited our associates, vendors and customers to join us in this effort and as a team we donated 56 pints of blood! 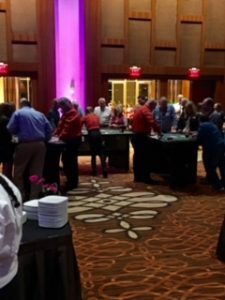 At this event we raffled off gift baskets created by each of our offices and had split the pot. 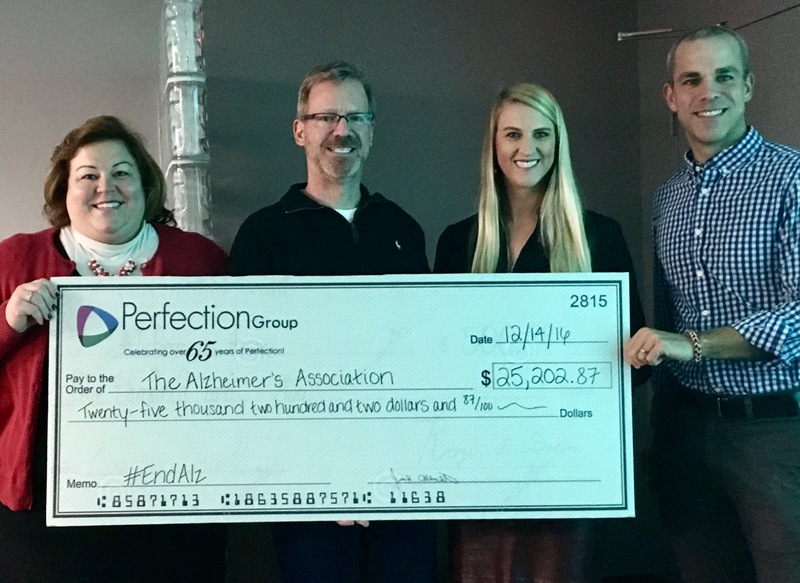 Between June and November 6th, we collected Jeans Day money, associate and vendor donations and continued our raffle effort in order to raise awareness and funds to fight Alzheimer’s. 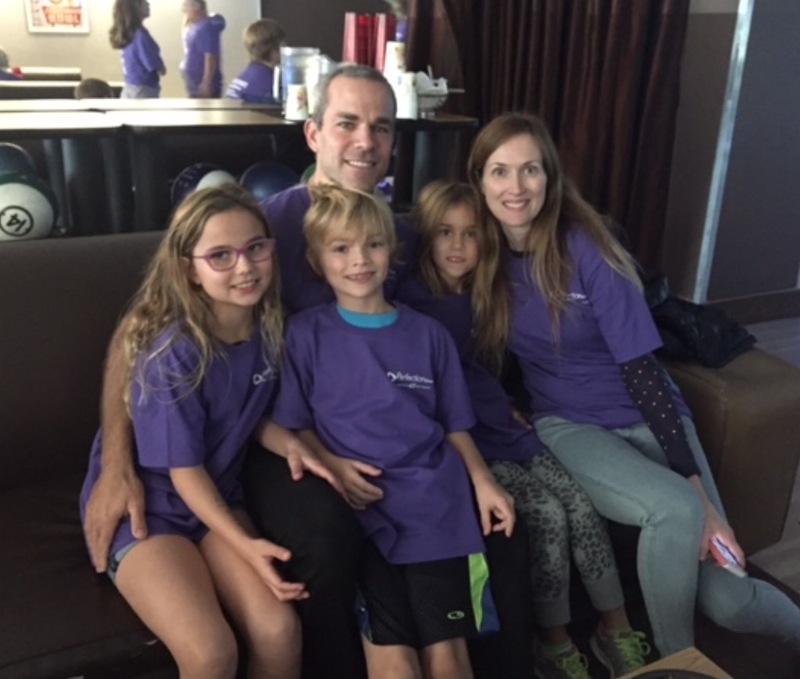 On November 6th, the morning after our associate banquet, Perfection associates met at Axis Bowling Alley in Newport, KY for a pack-a-thon and bowling. 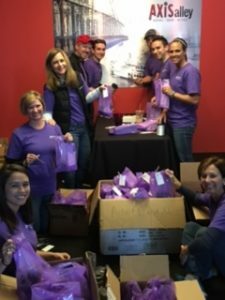 We packed 2,000 care bags for the Alz Association to give to caregivers that they go and visit. It was a day of packing, eating, bowling and associate bonding as we gave back and hopefully made a difference in someone’s life. 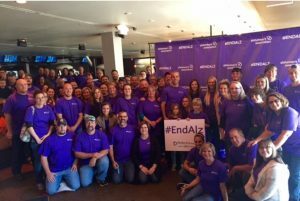 Through all of our efforts, we were able to donate not only the care bags but over $25,000 to the Alzheimer’s Association. We would like to thank all of our associates, vendors, strategic partners and anyone else who donated to our cause and helped make our effort a success! On Saturday, November 5, 2016, Perfection held a blowout associate banquet at Jack Casino in Cincinnati to celebrate 65 years in business! 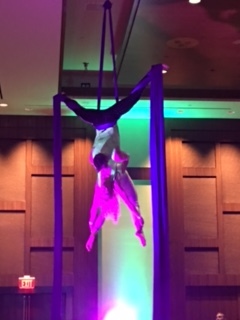 All Perfection associates and their significant others were invited to partake in an evening of fun and celebration. The two hour pre-function consisted of live music, cirque dancers hanging from the ceiling, action-stations of appetizers, a photo booth and instructional gaming tables. 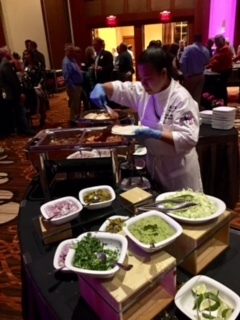 The doors opened at 7:30 to a beautiful ballroom and a delicious dinner. The after dinner presentation was delivered by Jack, John and Todd Albrecht and Tony Apro and consisted of heartfelt and funny stories of times past and present. 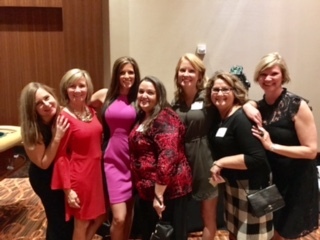 It was a night of Perfection and a great way to celebrate our 65 year anniversary! On Monday October 24, 2016 Mary Queen of the Holy Rosary Parish in Lexington, KY held a special mass for students, faculty and staff. 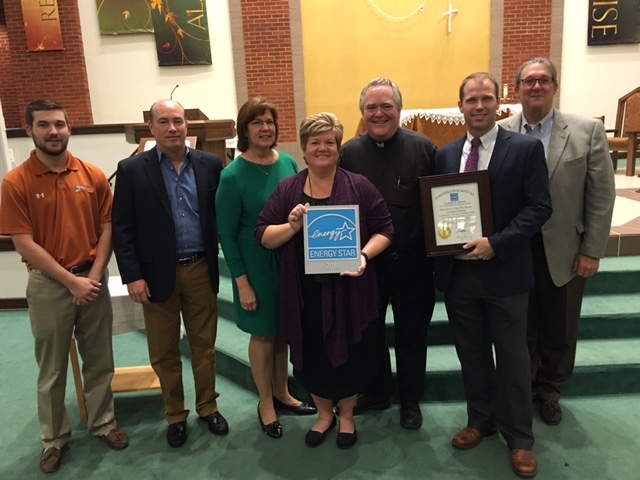 After the mass Michael Kennedy, Assistant Director of the Governor’s Energy & Environment Cabinet was on hand to present the Energy Star Award for work provided in the church and school. Via an Energy Savings Performance Contract, the parish contracted with Perfection Group to provide Lighting Retrofits, Automatic Temperature Controls and Building Automation, HVAC replacements and additions and retro-commissioning of key environmental systems. All work was designed to reduce energy and operational costs in a guaranteed savings format. Perfection Group is pleased to report that savings have exceeded first year expectations. On hand for the presentation were Martha Casher – Parish Consultant, Fr. 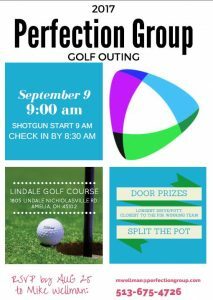 Dan Noll – Pastor, Rebecca Brown – School Leader, Matt Callahan – Perfection Green Buildings Manager, Ben Apro – Perfection Green Energy Engineer, Tony Apro – Perfection Group President and Michael Kennedy. Perfection Group has been a services provider for Mary Queen of the Holy Rosary parish for over 20 years and is a collaborative partner in all their building needs. Mary Queen of the Holy Rosary is one of the first parishes in the state of Kentucky to receive such a distinction. 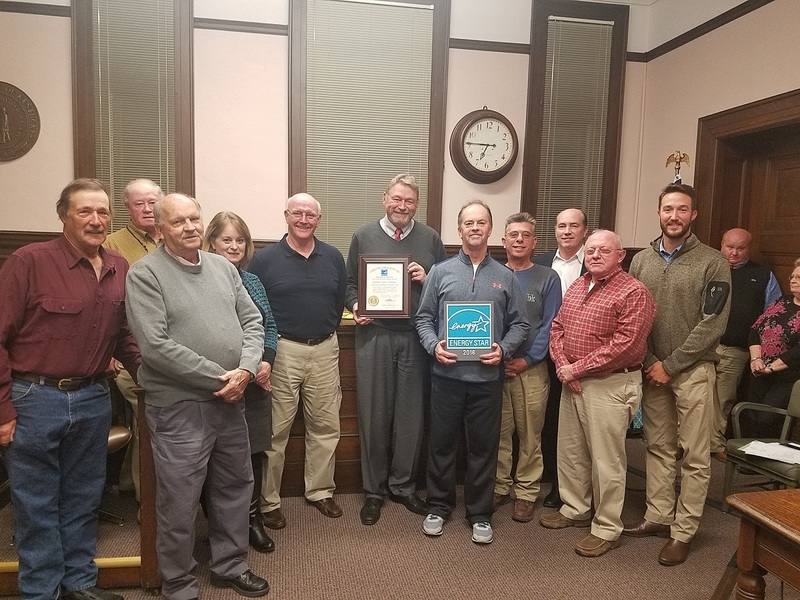 Perfection Group, Inc. presented the Energy Star Certification Award to Bourbon County Fiscal Court on November 28, 2016. The historic Bourbon County Courthouse, runner-up in design to the current Kentucky State Capital Building, was completed in 1905. After a Guaranteed Energy Savings Performance Contract (GESPC) was completed in 2015 by the Perfection Group, Inc., the courthouse achieved an Energy Star rating of 81 ranking it among the top 20% in energy efficiency for similar use facilities in the United States. 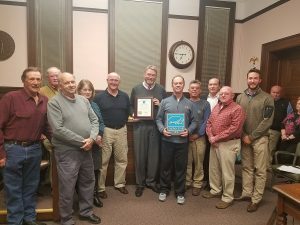 It is the third courthouse in the Commonwealth to be awarded Energy Star status based on the improvements made through the ESPC process with Perfection Group, Inc. Jessamine County and Pike County courthouses have also achieved Energy Star status in Kentucky after completing Guaranteed Energy Savings Performance Contracts. During this presentation, Lona Brewer from the Kentucky Government’s Office for Energy Efficiency presented an award on behalf of Governor Matt Bevin for the insight and work performed to increase awareness and for being a state leader in their Performance Contracting and energy efficiency efforts. 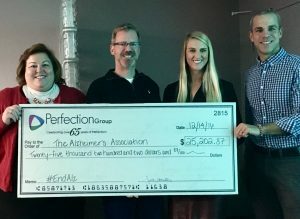 In November 2016, Perfection was recognized by the Kentucky chapter of the American Works Association for a successful Performance Savings Contract with the Boyle County Fiscal Court in Danville, Kentucky. 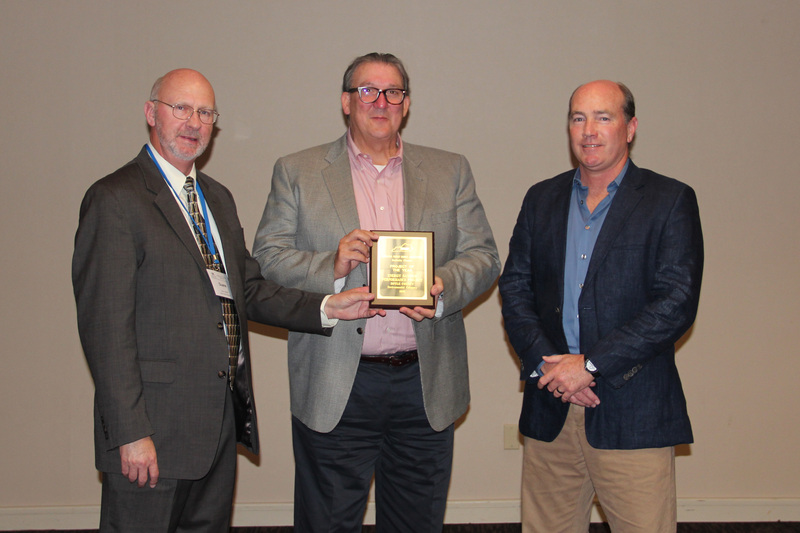 Ten awards were given statewide for projects completed across the Commonwealth, with Perfection being chosen in the Environmental category for work done in the Courthouse and County Jail. 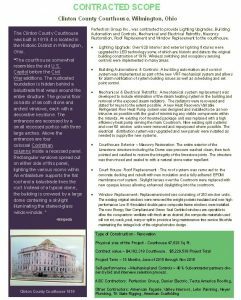 The Courthouse Project included a complete HVAC replacement with a sophisticated Variable Refrigerant Flow (VRF) system, direct digital controls and automation and lighting retrofit. The jail project focused on complete HVAC replacement, water conservation and generator installation. Congratulations to all on this achievement!